Ernest Abrams/MacBusiness Consulting (MBC) has been providing this FREE website for the community for over 5 years. Help MBC continue this support and raise the bar for the First Friday/Downtown community. ERNEST ABRAMS/MBC WANTS TO DO MORE! FirstFridayHawaii.com has become a valuable asset the the First Friday community and Ernest looks forward to continuing to support the First Friday community for many years to come. Please join with your friends and neighbors in helping MBC/Ernest Abrams support this website. Every contribution makes a tremendous difference. Thanks in advance for your support. To make a donation to MBC/Ernest Abrams, simply click the link below for the amount you would like to donate. The link will take you to a secure safe and secure PayPal site where you can make your payment. Donating Off-line: If you would prefer to contribute by mail, send a check to: MacBusiness Consulting/Ernest Abrams, PO Box 161117, Honolulu, Hawaii 96816. We would like to personally thank Ernest and FirstFridayHawaii.com for recently referring a new client to our business. In addition, we use tracking software on our website and we are able to see frequent incoming traffic from this website. Don't forget to support Ernest with your donations, he is doing a great job supporting & promoting local artists in the Hawaii community. Mahalo! 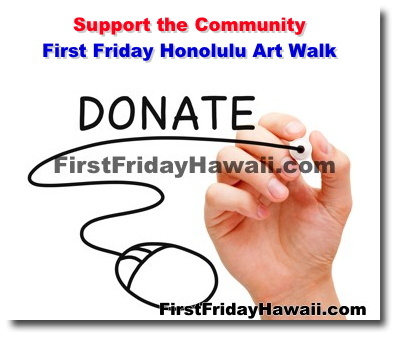 The FirstFridayHawaii.com website is a great resource for those planning a night out of gallery hopping. And a great benefit to the art community as well. Mahalo NUI Ernest... you're the best! 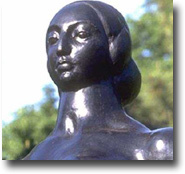 Your support of the arts is outstanding! Ernest Abrams is a competent and professional businessman with a deep understanding of how to engineer and market ones products and services using the digital information highway. He goes the extra mile for his clients and associates, his work is four stars.